On this page, you can find the download links for the Phonexia Evaluation Packages. To be able to download your package and start testing Phonexia Technologies you need to receive the download password and testing license from your Phonexia contact. Contact your Phonexia Sales manager or write at info@phonexia.com for more information. Note! It is highly recommended to check the HW requirements (available on the Download page of individual packages) and watch the 35 minutes Product Training video below. 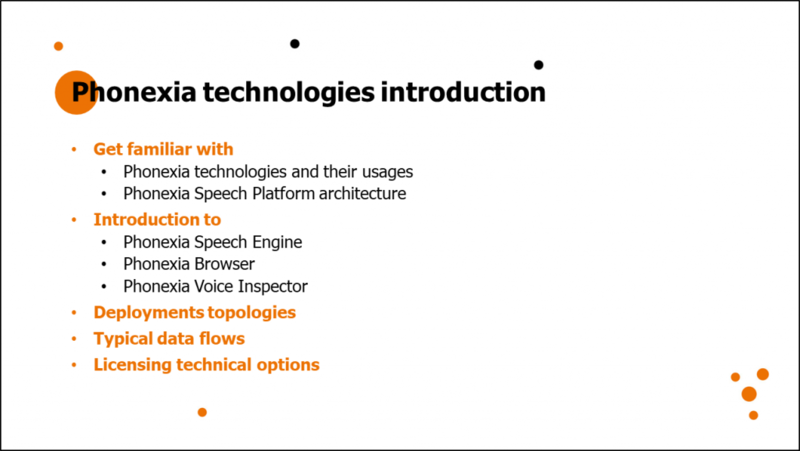 The video provides an introduction to the technologies that are available for testing in Phonexia BrowserPhonexia Browser is a powerful GUI tool for the Phonexia Spe... with your own data.